Looking at Africa means looking at the future. The continent is home to nations wishing to modernize. 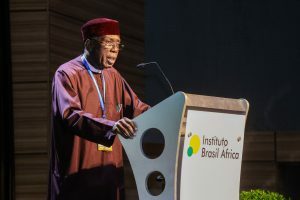 And was considering this when the government of Nigeria sought Brazil to develop the largest scale agricultural project that ever took place within its territory. According by the plan developed by “Fundação Getúlio Vargas” (Getúlio Vargas Foundation – FGV), the initial funding will exceed 1 billion dollars divided between BNDES (Brazilian Development Bank) and Deutsche Bank. The program was named the “Green Imperative” due to its enormousness that is going to attempt to develop the entire Nigerian production chain. The launch ceremony took place in Abuja in January after being discussed during the past few years. The ceremony was attended by the Vice-President of the country, as well as its ministers and state governors. From the Brazilian side, were present the Brazilian ambassador to Nigeria, Ricardo Guerra de Araújo, and representatives from FGV, and the Brazilian Manufacturing Association of Machines and Equipment (Abimaq), as well as other groups of entrepreneurs. The project will kick off by exporting 10 thousand tractors and 50 thousand machines and pieces of equipment from Brazil to be assembled on the African continent. FGV estimates the creation of 100 thousand direct jobs and over 5 million indirect jobs in a medium range future. The initiative also includes a business plan to create over 700 service centers in Nigeria with the purpose to provide support to small growers and ranchers serving the entire production chain, ranging from growing to selling the final product on the market. These will be specialized according to the specific agricultural sector: chicken, bovine and sheep meat, fruits, dairy products, produce, tubers, palm oil, coconuts, cocoa, grains (soybeans, corn, and rice), and cotton. “The fact the we are from developing countries and believe in the importance and the efficiency of the South-South Cooperation favors the development of this partnership. Brazil and Nigeria both have the same type of soil (“Cerrado” in Brazil, and the Savanna in Nigeria) and the same tropical climate that includes all the opportunities and challenges imposed by these geographical factors on both countries. Based on this context, I believe that during the long and successful experience of Brazil in the field of agribusiness can eventually serve as a model for developing other partnerships throughout the African continent”, explains the ambassador, Ricardo Guerra de Araújo. Besides the funding responsibility of the Deutsche Bank and BNDES, with the assured credit from the Islamic Development Bank and the Brazilian Administrative Agency Funds, Guarantors, and Sureties (ABGF), a partnership with a multilateral funding institution is still going to be defined. The funding will be covered by the sovereign guarantee from the Nigerian government and the payment will be made in 15 years, with a three-year grace period. 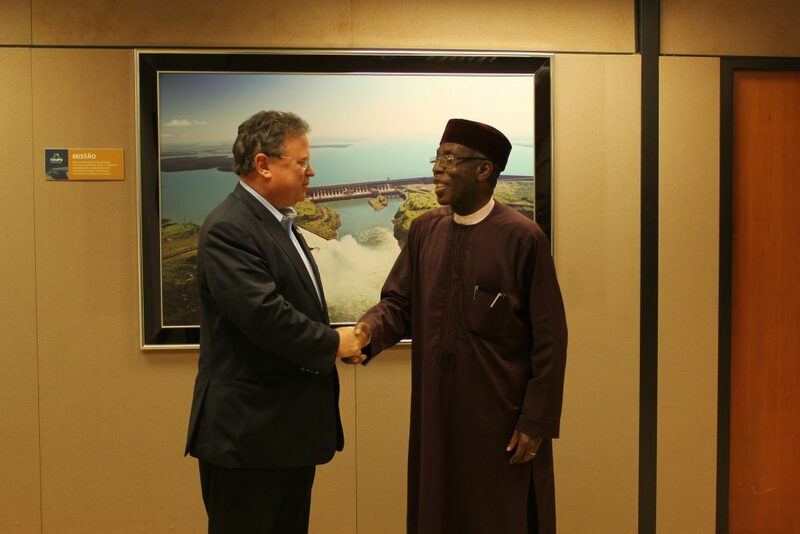 Yemi Osibajo, the Nigerian Vice-President, addressed the Green Imperative as a game changer. “We cannot bring our nation out of poverty without investment in agriculture. The share number of young people coming of age will not only need to be fed but employed. They want dignified jobs with decent pay” , he stated. 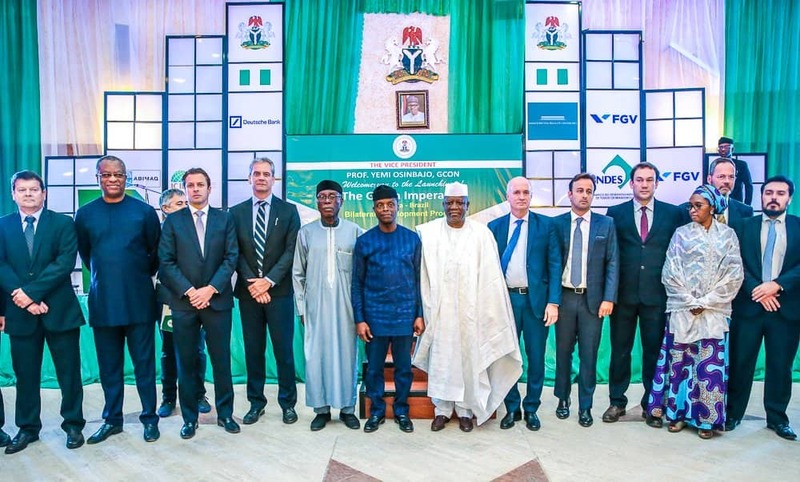 ABIMAQ say they expect to play an active role in the project that can generate results for the Brazilian machine and equipment industry and development for the entire Nigerian agricultural and industrial sectors. “We have made efforts to closely follow-up the unfolding of the Project as it goes on, as one of its main points include the exportation of Brazilian machinery and equipment. This is an extremely important project for Nigerian-Brazilian relations, as it can be considered as a milestone in a partnership between the most populous and highest GDP country on the African continent and the most populous and highest GDP country in Latin America”, said the Association in a note to ATLANTICO. According to the Brazilian ambassador, another expectation arising from the development of the Green Imperative is the improvement in the Brazilian commercial balance, insofar as it will enable a more balanced bilateral exchange with Nigeria. Although it has already been ranked as one of 15 largest commercial Brazilian partnerships, from 2007 to 2014, the negative trade surplus in Brazil reached almost 50 billion with the African nation. “The government of that country has sought to implement, in the last few years, diversification economic policies seeking to develop the agricultural sector in order to improve food security and decrease the historical dependence on petroleum and natural gas”, the ambassador explains. Ricardo Guerra also pointed out that the estimations rank Nigeria as being the 3rd most populous nation in the world by 2040, and therefore, the issue of food security will be fundamental for the future of the country. “Nigeria is a big developing market and its middle class is continuously expanding. The country is truly facing great infrastructure challenges, especially in the energy and transportation sectors, but it also displays a significant economic growth potential, just as other African countries. It is impossible to think of the future without considering Africa as a continent of great challenges and important business opportunities. I am convinced that Brazil has all the means to compete in the agribusiness sector along with other great countries present on the African continent”, he concludes. Next articleZero Hunger: what is Brazil’s role? ATLANTICO is a digital publication of the Brazil Africa Institute. We provide stories, interviews, opinion articles and news about Brazil and Africa.